Prevents excessive foaming during distillation. 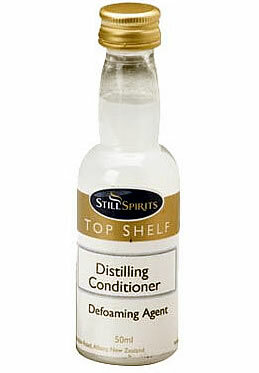 De-foaming Agent which when added to your wash in the still boiler before distilling, releases carbon dioxide and stops foaming of unfermented sugars during distillation. Add 3 ml or one capful to the wash to prevent excessive foaming while distilling. Still Spirits Turbo Yeast. Best all round yeast for high alcohol production.